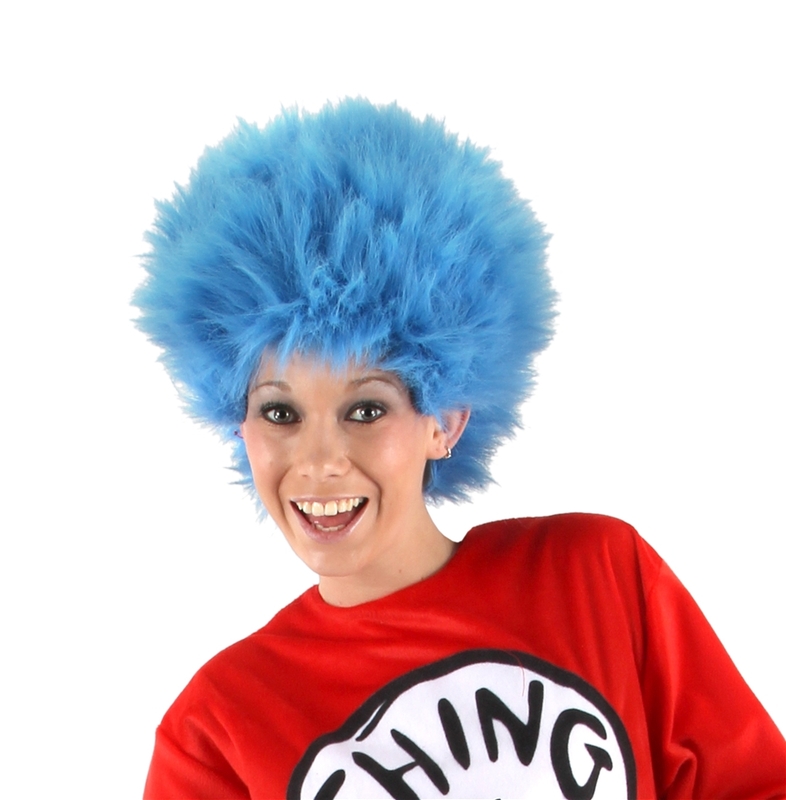 Have fun as the mischief-making duo Thing One and Thing Two while wearing this Dr. Seuss Thing 1 and 2 Unisex Wig. 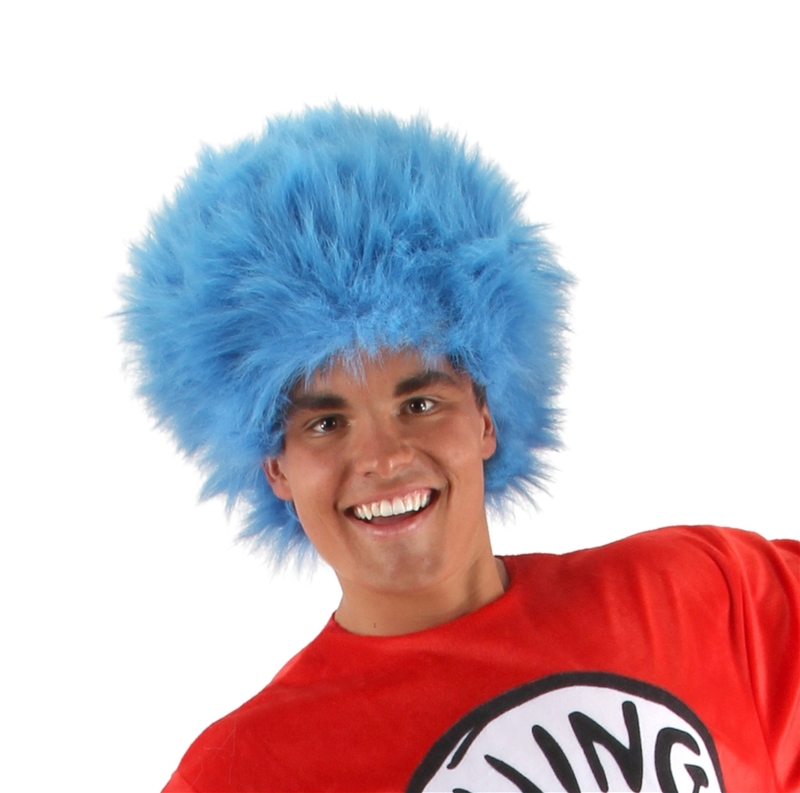 This easy to wear wig includes faux fur fabric, cotton lining and elastic for a comfortable secure fit. Diameter Max. 12", Length: 3"